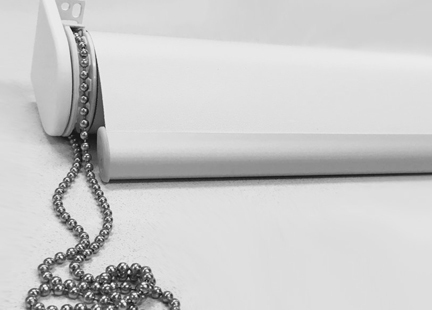 Sunscreen roller blinds are designed to minimise glare and give maximum UV protection while still allowing light into room. They are available in many openess factors. The higher the openess percentage the better the visibility however you do lose a small percentage of UV protection. If you have a need for greater vision then 10% will give this as the weave has a nice 10% openess factor. PLEASE BE AWARE THAT WHILE YOU HAVE TOTAL PRIVACY DURING THE DAY, AT NIGHT ANYONE OUTSIDE CAN SEE STRAIGHT IN WHEN LIGHTS ARE ON. 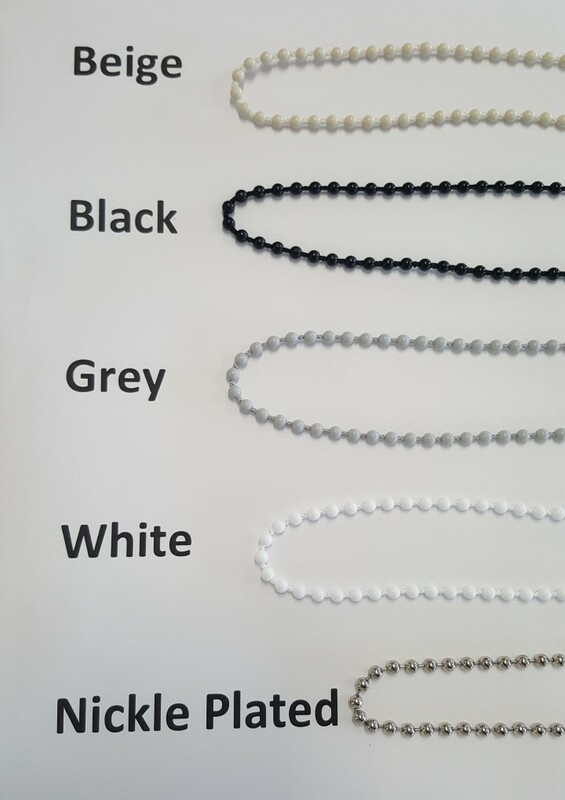 We strongly encourage all customers to order samples of the different blind types and colours they are interested in prior to placing the order. These will be delivered to you within three working days and you can then make your choice and come back to the website to place your order. Use a metal tape measure for accuracy, measure width by height in millimeters (mm) as this is what our system uses to generate your instant quote. We have measuring guides that explain how to measure. Please provide an accurate tight measurement, we take the necessary deductions here at the factory. Check that you are entering your sizes in millimetres (mm) e.g. 1 metre is 1000mm. Alternatively the size you are attempting to enter may be outside of spec (too small or too big). The manufacture time for blinds is 7-10 working days, with the exception of Roman blinds which have a manufacture time of 10-14 working days. Vision and Visage blinds require fabric that is imported from the UK so we allow an extra week on top of the standard 7-10 working days. Please allow for the delivery period depending on your location. If you have placed orders for various products e.g. sunscreens and venetians in one order, please be aware that you will receive multiple deliveries. Each department dispatches orders as they are completed. Once your order is dispatched you are notified via email with tracking details. We offer free delivery across New Zealand, there is no additional charge to your order. Once your order is complete and leaves the factory you will be notified via email. You will receive tracking details which you can enter in to the Peter Baker Track and Trace website www.pbt.com to trace delivery. If you have placed orders for various product they may be dispatched seperately. Once you have placed your order we are unable to refund for change of mind.If blinds are proven faulty we will provide a replacement free of charge under the Consumers Guarantees Act. If you do miss-measure please contact us for advice so we can see if there is an easy solution. We are more than happy to help where we can. Please call us on 0800200032 or email us cs@budgetblinds.co.nz to discuss. If you are unsure with anything to do with the measuring or ordering process please get in touch we are happy to answer all your questions. All blind componentry and manufacture comes with a five year warranty. 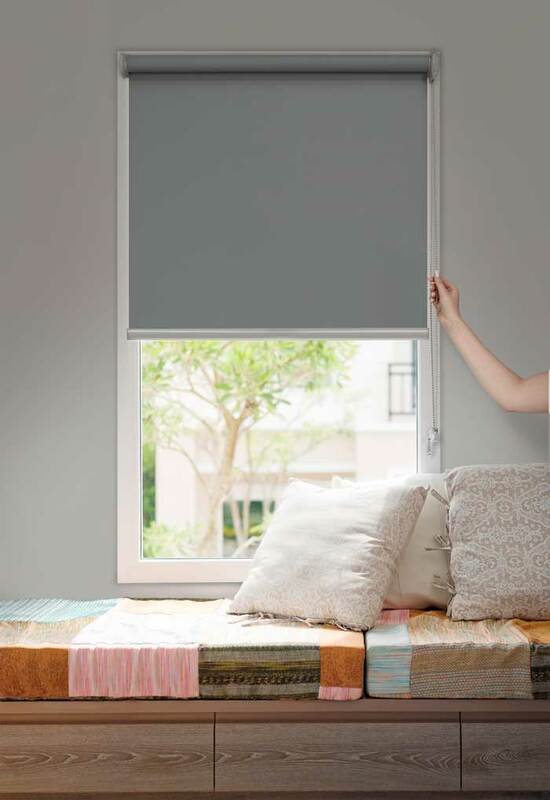 Blind fabrics are covered by individual fabric supplier warranties. In the event of a fabric issue we will contact manufacturer and take appropriate steps to sort out the problem. This refers to the options of where you will be fitting the blind. Inside: fitting the blind inside the frame (recess). Outside: fitting the blind to the frames face (architrave) or above the frame. This refers to the options of front roll or back roll. Front roll: rolling blind fabric over the front of the tube. Back roll: rolling fabric over the back of the tube. Traditionally it is standard to roll over the back. However, some factors lead to front rolling being the best option. For example the fabric has a white block-out backing. Or the blinds are being fitted in a bay window or over a door with large handles. The control is the mechanism that allows the user to operate the blind in the form of a chain or cord or a wand. You must choose what side you would like to operate the blind from, left or right. Generally as a rule we recommend selecting the side that has easy access for the user. Or the side that is furtherest away from the opening of windows or doors if possible. This is the type of control required for your roller blind. Chain: Standard type is chain operated. Driven Link: Refers to a roller blind being operated by the chain of another blind in the same window at the same time. The control unit colour refers to the colour you want the blinds drive unit to be (mechanism that chain rolls through). Generally this is matched in with the blind fabric colour, chain, bottom rail or window joinery. Control chain length is the length of the chain that operates your blind. The chain must be at least half the drop of the blind. For example if your blind is 1000mm high chain must be at least 500mm. 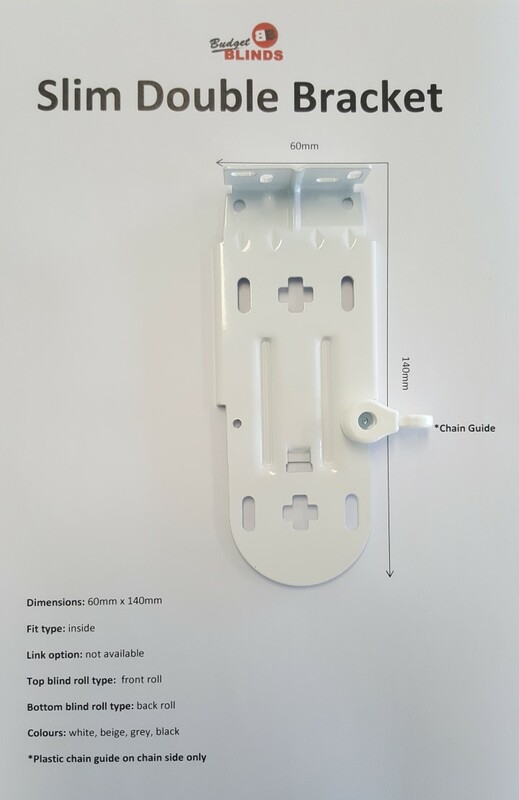 If your window is height is shorter than the shortest chain option (500mm) please select the 500mm length BUT write a note in the comment section that for the particular window/s what length chain you'd like. The comment section can be found once you have entered all order details and you are ready to BUY NOW. 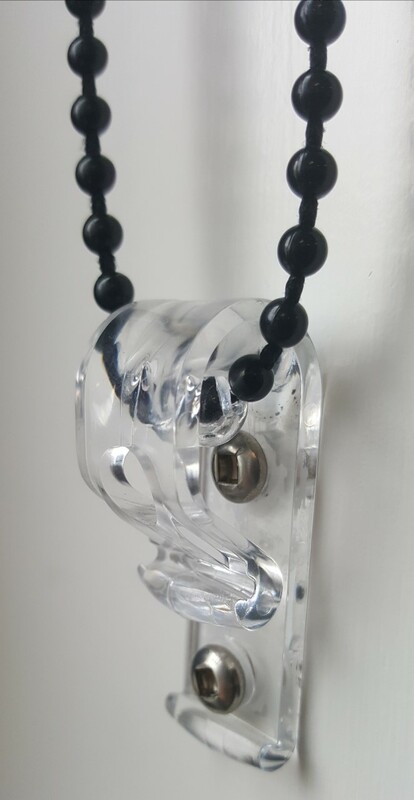 We can also supply child safety devices to hold your chains to the wall so there is no risk to young children. If you require child safety devices please make a note in comments section when placing order. The chain colour refers to the colour of the chain which operates the blind. We recommend co-ordinating colours work best. For example having the chain, drive unit, bottom rail all the same colour and a colour that compliments the blind fabrics or surrounding features in your home. 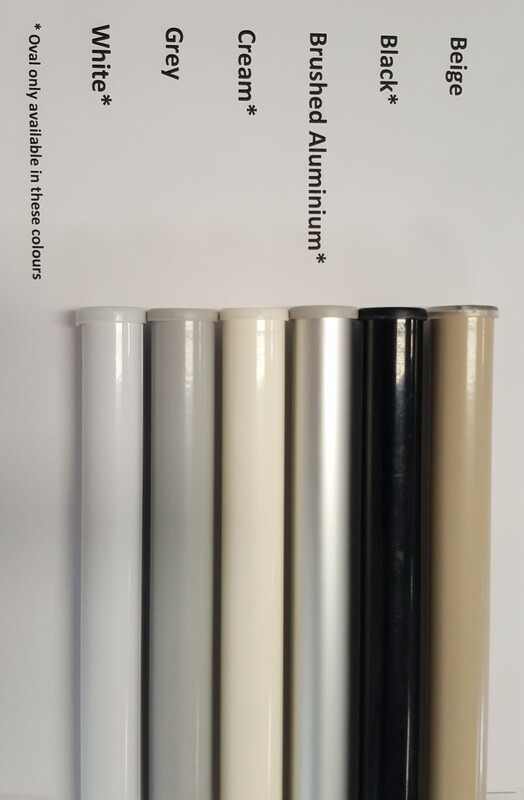 The bottom rail style refers to the style and colour of the bottom rail which sits along the bottom edge of the roller blind. 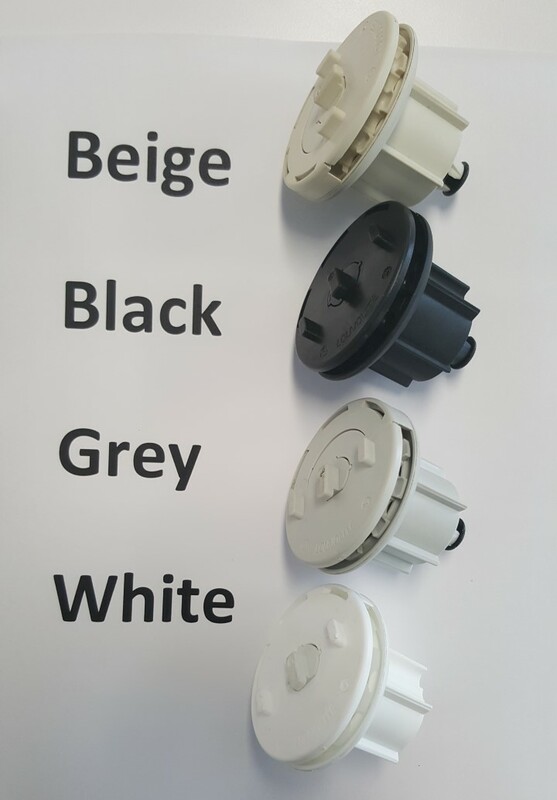 We suggest linking all blind component colours together such as the bottom rail, chain, and brackets, drive unit. 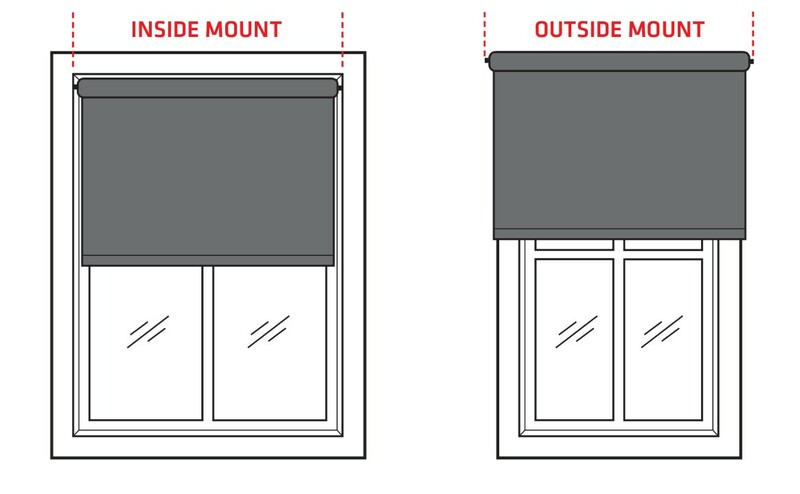 Some blinds require specialty bracket, for example: If you require double blinds you can use one bracket to hold both blinds, this is handy when you wish to have both sunscreen and blockout roller blinds on the same window. 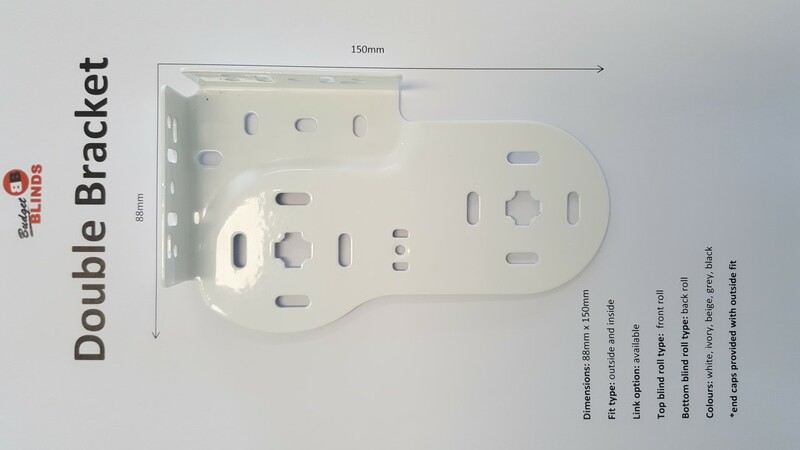 Click on options below to view bracket and dimensions. Please call us for any advice.